Where there is a will, there’s a way. We’ve recently teamed up with Sheffield Digital to form a promising and exciting partnership in hope that we can maintain our recognition as one of the North’s nine core cities. Alongside the long awaited development of the city, we also think it’s just as important that we grow the community and heighten Sheffield’s recognition too. It’s often lost amongst the likes of Manchester and Leeds with many forgetting that Sheffield was once a driving force for many industries. So what is it about Sheffield that has made it a hidden gem with great potential that sometimes falls slightly under the radar? The rent is much cheaper than other northern cities, there’s really good transport links to get you from A to B, and best of all there’s an idyllic National Park that sits on the outskirts, so you’ve got the best of both worlds. Today we speak to Mel, who’s one of the co-founders and directors of Sheffield Digital to find out a bit more about them, and also her thoughts about the ongoing development of Sheffield. Hey Mel, can you tell us a little about yourself and also Sheffield Digital? Hi! I’m an adopted Sheffielder (been here nearly 30 years) and I’ve worked in marketing and business development in the tech industry for a long time. My work involves getting to know tech businesses and finding out what is stopping them from growing, and one of the things I kept hearing was “the tech industry in Sheffield is fragmented, no-one knows about us, it’s hard to find out what’s going on and the people making policy aren’t taking us into account”. I started to talk to colleagues about this and there was a lot of agreement that there was a need for some kind of focal point to help bring the local industry together. We talked about it for a long time and we waited to see if something would happen – and then we realised we should just do it ourselves! So, myself and four other local tech people (Chris Dymond, Saul Cozens, Andy Mayer and Neill Birchenall) set up Sheffield Digital to be “the association for the people and businesses who make up Sheffield’s digital industries”. That was about three and half a years ago. 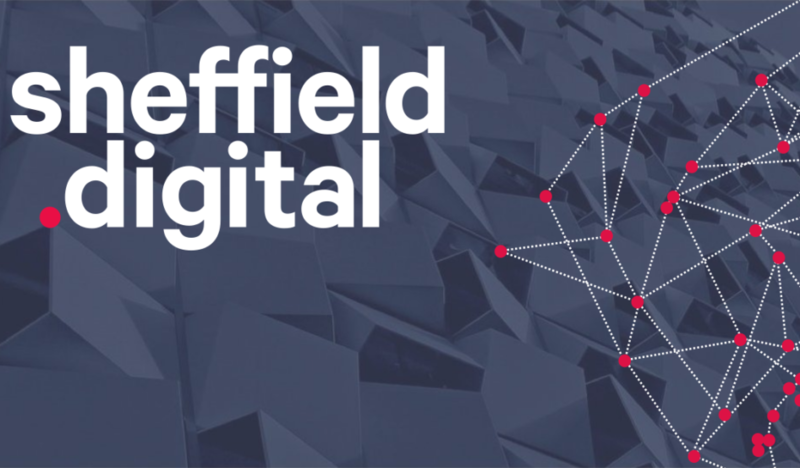 Today, Sheffield Digital has over 150 company and individual members, plus sponsors and partners, and we are recognised across the North of England and nationally as the body that represents the tech cluster in Sheffield City Region. We’re a volunteer-run organisation and we don’t have any staff, so that means we’re working on a shoestring when it comes to time and resource. However, the community in Sheffield is really strong, so we have lots of people organising and attending meetups, getting involved in initiatives around education and tech for good, and generally helping each other out through our Slack. Do you have any thoughts on why Sheffield has ‘been left out for so long’? I don’t think it’s a case of being left out – I think it’s more to do with flying under the radar. There has been a strong digital and technology sector here for a long time, but it wasn’t a sector that the city shouted about. We’re getting a lot more attention now – we’re featured as a cluster in the Tech Nation report and we’re seeing more inward investment, with large organisations setting up their tech teams here and international tech companies making Sheffield their UK home. Why is it important for Sheffield Digital to partner with other companies? Sheffield Digital wouldn’t exist without the support of local tech companies. But we’re also keen to form relationships with other sorts of businesses that support the sector: accountants, lawyers, recruiters, workspace providers and so on. What is it about Spaces that you think made us a good match? 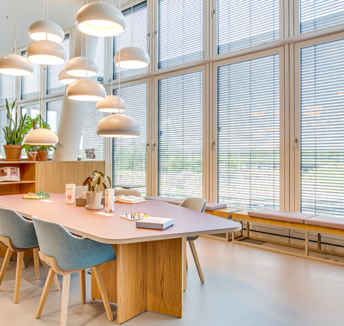 Spaces understand the importance of high quality, flexible workspaces to the way the tech industry operates. It’s also seems to be an open, friendly organisation, which is how we like to work. We need supportive service providers who are prepared to give back to the local community. What are your thoughts about the ‘new way of work’ (coworking/flexi-office space/work memberships)? I love the new way of work – I’ve been working this way since setting up my own business eight years ago. For me, collaboration is a vital ingredient for creativity and I often get my best ideas in conversation with a fellow co-worker. The tech industry thrives on it – coworking is how new businesses are born. We’re launching an event series together, what aspect of this are you most excited about? It’s great to have a partner to help bring speakers from outside the city to Sheffield. It works both ways – local people get to hear from and meet speakers they might not otherwise see and people from outside the city get to discover just how vibrant the tech scene is here. Keep your eyes peeled for the progression of our partnership and other exciting projects we have running at Spaces.